Our team at Family Vision Center is committed to your eye and vision health. In addition to preventative care, we also offer eye disease treatments in Stratford and Bridgeport. Whether you've already been diagnosed with an eye disease and are seeking treatment, or are experiencing symptoms of an eye disease, our skilled and compassionate eye care team is here to help. Our optometrists are trained and experienced in the diagnosis, treatment, and management of a variety of eye diseases and conditions. Once a disease is diagnosed, we can assist in the prescribing of any necessary medications and make referrals for any surgical procedures that may be needed. Below is a sampling of some of the most common eye diseases we see and treat in our office. Often referred to as the silent thief of vision, glaucoma is a serious eye disease that causes excessive pressure build-up in the eye and on the optic nerve. Over time, compression of the optic nerve can lead to permanent vision loss and even blindness. 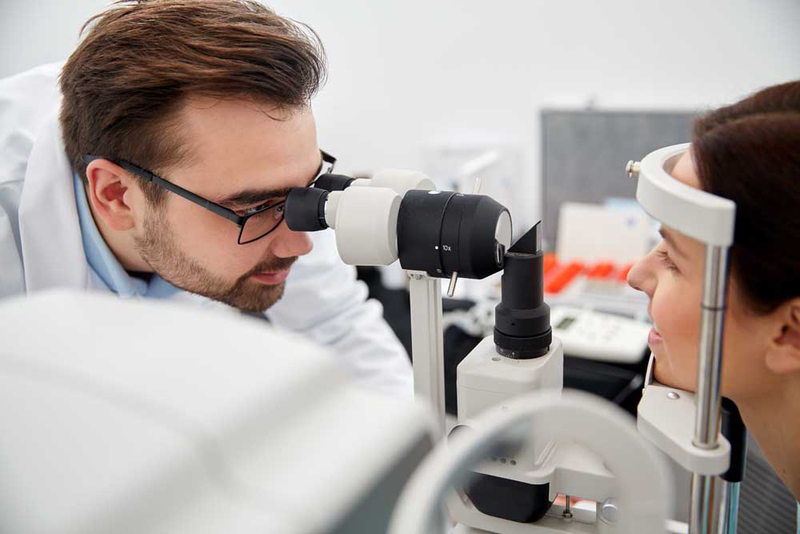 We use tonometry to screen for glaucoma in our office and have a number of treatment and management options at our disposal, including beta-blocking medications and prescription eye drops. In more serious causes, surgical intervention may be required. Dry eye is one of the most common eye diseases, and it can be caused by any number of factors, including allergies. People with dry eye typically experience severe eye irritation, watery eyes, and itchy/red eyes. Upon reviewing your symptoms and performing a physical assessment of the eyes in our office, we can make a diagnosis and work to help manage your dry eye symptoms. Some potential treatments we may recommend include allergy medication and medicated eye drops. While most common in people age 40 and older, cataracts can occur at any time and result in foggy or blurry vision. Cataracts are essentially spots of cloudy build-up on the lens of the eye that occur over time, sometimes due to sun exposure. While smaller cataracts can be managed without the need for surgical intervention, cataracts surgery (replacing the fogged lens with an artificial one) may be necessary in more severe cases. Eye infections, such as conjunctivitis (pink eye), are also seem regularly in our office. If you're experiencing eye irritation or redness, schedule an appointment with our optometry team for an evaluation. If you do have an eye infection, we can offer treatments to help relieve your symptoms and treat the infection directly. Are you ready to request an appointment with a Stratford and Bridgeport optometrist? If so, then it's time to contact Family Vision Center at (203) 333-2020 (Bridgeport location) or (203) 377-2020 (Stratford location). At the time of your appointment, please also be sure to let us know if any existing eye diseases/conditions, as well as any medications you're taking.